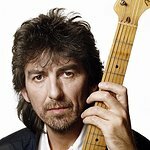 On the 40th anniversary of George Harrison's groundbreaking Concert for Bangladesh, the first major celebrity charity concert for a humanitarian cause, the music community is coming together yet again for UNICEF, this time to help provide emergency relief for children in famine and drought-affected regions in the Horn of Africa. UNICEF is calling the situation in the Horn of Africa the “worst humanitarian emergency in the world,” with Somalia being the epicenter of the crisis. To pay tribute to the Concert for Bangladesh and its organizers George Harrison and Ravi Shankar, this August has been designated as the “Month of Giving.” During the Month of Giving all donations to the George Harrison Fund for UNICEF will benefit UNICEF’s life-saving programs for children in the Horn of Africa. To jump start this fundraising initiative, the George Harrison Fund for UNICEF, which was founded by Olivia Harrison, wife of the late George Harrison, is immediately releasing $1 million to UNICEF for emergency efforts there. As part of the Month of Giving, musicians and performing artists across the world will engage with fans at their concerts, and by tweeting and posting content to their websites and Facebook pages. These artists include the original Concert for Bangladesh performers Ringo Starr, Eric Clapton and Leon Russell, as well as Arcade Fire, Monty Python, Elvis Costello, Crosby, Stills and Nash, The Doors, Selena Gomez, The Go-Go’s, Brian Wilson, My Morning Jacket, Nas, Jackson Browne, and more. To see a full list of participating artists, visit theconcertforbangladesh.com. The Concert for Bangladesh album makes its digital debut today exclusively on the iTunes Store. In honor of the altruistic sprit that gave birth to the Concert for Bangladesh, each download will benefit the George Harrison Fund for UNICEF. iTunes, Apple Records Inc., and all artists, songwriters and publishers associated with the concert will keep no income from the digital sales of the album and have waived all fees. 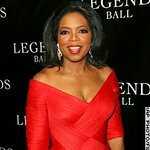 In a worldwide 72-hour online event, The Concert for Bangladesh feature film will be available for free streaming in its entirety from Saturday, July 30 through Monday, August 1 on iTunes, georgeharrison.com and theconcertforbangladesh.com. In 1971 George Harrison and Ravi Shankar staged two concerts at New York’s Madison Square Garden that brought together a star-studded cast of musicians to alert the world to the plight of the Bangladeshi people, victims of simultaneous floods, famine and civil war. The Concert for Bangladesh, which supported UNICEF’s programs in the country, pioneered the all-star concert benefit model, which continues to move hearts and raise money today. In the tradition established by George Harrison and Ravi Shankar, The George Harrison Fund for UNICEF continues to support UNICEF programs in Bangladesh and has expanded its reach to other countries where children are at risk. Today the Horn of Africa is facing what is being called the worst drought in 60 years, and famine has been declared by the United Nations in two regions of southern Somalia. More than 2 million children are acutely malnourished, including half a million children who are at imminent risk of death if they do not receive immediate lifesaving assistance. A brief video message with information about how to help is available for streaming on georgeharrisonfundforunicef.org and on iTunes. In the U.S., supporters can text FRIEND to UNICEF (864233) to give $10 to the George Harrison Fund for UNICEF (messaging and data rates apply), or visit theconcertforbangladesh.com to donate and learn more.